To define your look you must frame your face with beautiful eyebrows. But on numerous occasions, it is not so easy to get perfect eyebrows and, especially, if you have to do it yourself at home and do not have much time. So it’s that you still do not know the tricks and tips that we have compiled for you on healthncure.org. In the following article we talk about a good facial look change that will help you design your populated eyebrows. 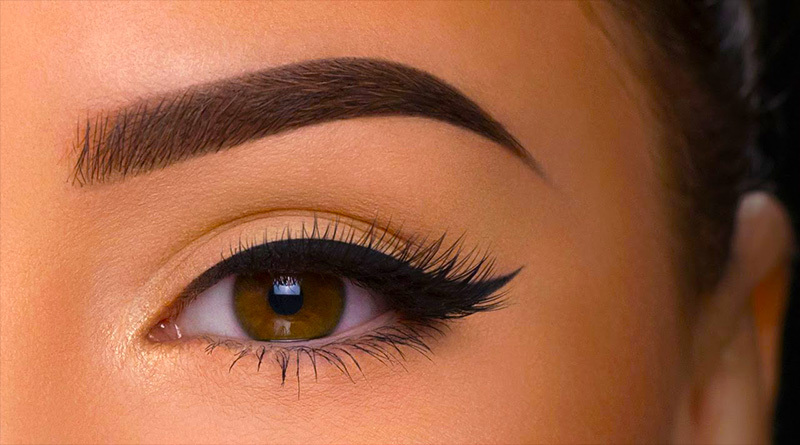 Discover how to trim your eyebrow hairs with a few simple tips and dazzle with your eyes. To get perfectly trimmed eyebrows and get rid of the excess hairs, you will need fine-tipped scissors like those used by hairdressers to trim sideburns or bangs. It is important that you find scissors that cut very well for a perfect result. If you are looking for beauty and cosmetics stores you will find scissors specifically designed to design your eyebrows. Another basic tool that you will need to work your eyebrows will be a round or flat brush, but special to comb the eyebrows or eyelashes. With this instrument we can comb the eyebrows, design the cut and know which are the hairs that need a cut. Now that you know the tools you need to trim your eyebrows, let’s start with the essential steps. First, you should comb your eyebrows upwards, so that the hairs are above your eyebrows. When you have them all up, pass the scissors through the tips, always leaving a margin of between 2 and 3 millimeters, that is, do not pass the scissors too close to the eyebrow. When you have finished trimming the top, you must repeat the operation but this time in the opposite direction. Brush your brows again with the brush but now down and trim the hair of the eyebrow leaving the margin we have indicated above, between 2 and 3 millimeters. When you have finished trimming the leftover hairs of your eyebrows, you should brush them again in the normal way, keeping your natural design. And remember: always starting from the thickest part to the thinnest end. If at the end you notice that it is necessary to remove the hair that has remained in the arch of the eyebrow, take it off with a tweezers. Of course, remember to do it from the root and pulling it gently. Once you have trimmed, trimmed and shaped your eyebrows, you will just have to define and illuminate them. For this we recommend to use a special pencil for eyebrows, which usually have at one end a neutral color to fill the areas of the eyebrow with scarce hair. At the other end they usually have beige tones to give points of light under the arch of the eyebrow and finish illuminating the look. Perfect!